All Axis Machining struggled to automate the operation of old machinery. 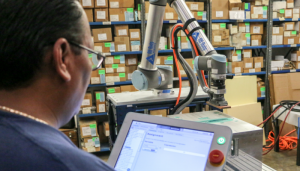 When the company discovered the open integration architecture through the Universal Robots+ platform it was quickly able to automate six different operations with collaborative robots. The deployment was so successful that All Axis started a new business, offering UR cobot integration services to other machine shops. Participate in the SME Bright Minds Program at Southtec!